The Nimble Thimblers’ Guild is having Karen Kay Buckley (www.karenkaybuckley.com) as a guest lecturer at their Tuesday, March 28th meeting. 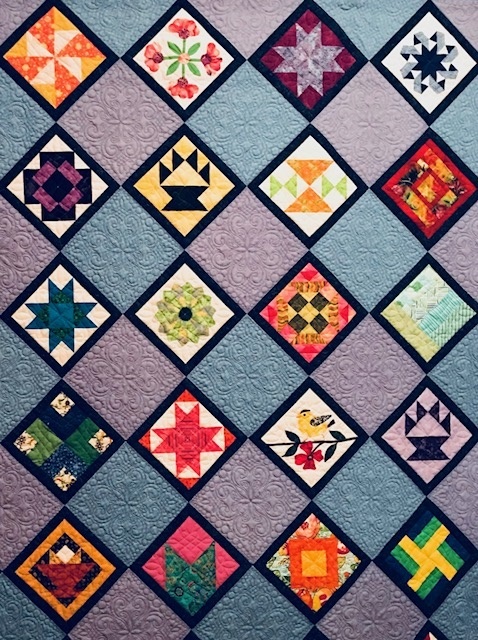 Karen will also teach a hand applique workshop on Sunday, March 26th, 2017 from 9:00 a.m. to 3:00 p.m.
Karen’s lecture will be “From the Beginning: Album of a Quilter”. She will take you on the journey from her first quilt to her most recent work. Included in the presentation is a slide tour of Karen’s home and studio. The meeting will be held at: The Crystal Community Club, 77 Preston St. in Wakefield. Guests: $10. This 6-hour class will be held in Reading at RCTV at 557 Main St. The finished wall quilt measures 21” X 24 ½”. In class you will work on the center panel, although you will receive the pattern to complete the 3-panel quilt. Sewing on this panel you will learn how to achieve smooth curves, wonderful points and perfect circles. Karen will teach you her fun and easy tips to make your hand applique look great. On Sunday, prior to her lecture, Karen will be teaching a group of no more than 25 students. Class fee is $55 per person plus a pattern fee of $16.00.